You'll be able to set your own daily ATM withdrawal limits. Barclays is fighting back against fraud by offering its users more power over when and how their debit cards can be used. The news was announced on Monday morning. According to the announcement, customers will be able to instantly turn a card 'on' or 'off', disallowing remote purchases. They will also be able to set their own daily ATM withdrawal limits through the Barclays Mobile Banking app. The new controls are part of the £10 million nationwide drive to increase the public’s awareness of financial fraud risks. 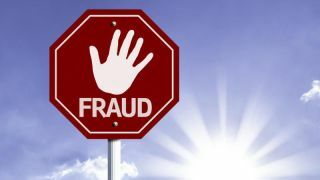 “Fraud is often wrongly described as an invisible crime, but the effects are no less damaging to people’s lives,” said Ashok Vaswani, Chief Executive of Barclays UK. Describing the current fraud situation in the country, the report says London, Bristol, and Birmingham are the “scam capitals” in the UK. Most fraud cases are reported in London, Bristol and Manchester, while Liverpool reported a ‘particularly high’ number of impersonation scams. Highly educated Londoners are, surprisingly, the UK’s most vulnerable group. “That is why we are launching this new national campaign on digital safety, and we will do all in our power to arm people with the tools and information they need,” Vaswani added.